Send marketing insights and buying signal triggers to your sales team. Deliver qualified leads to your sales team at the perfect time. Your website is likely your most valuable source of leads. GoSquared enables you to capture, qualify, and sync website leads to Salesforce effortlessly. Never run out of leads again – every website visitor is a potential customer, and GoSquared captures the most valuable visitors ready for your sales team to close. Our customers save over 5 hours per week on average, thanks to GoSquared's intelligent qualification and prioritisation of leads. Empower your sales team with marketing insights to close deals faster. Begin every sales conversation personally with enriched data from your marketing site. Sync qualifying lead behaviours like the content they viewed, how often they visit the site and social information to engage more effectively with prospects. See what GoSquared + Salesforce can do for your sales. 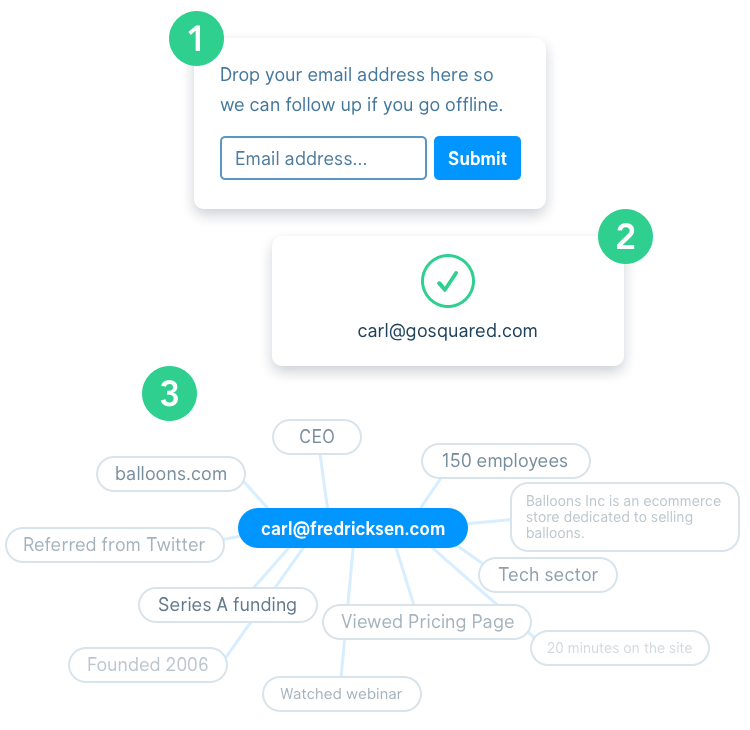 Capture leads on your website with GoSquared Assistant. Add a lead to Salesforce in one click when chatting with a visitor. Automatically add qualified leads to Salesforce based on website behaviour. Send key marketing insights and buying signals to your sales team. Easy-to-see ROI – see how leads from GoSquared compare to others in Salesforce. GoSquared brings together live chat, a customer data hub, and analytics in one place to help grow your business faster and smarter. Platform uptime. We obsess over stability.